It's getting more serious for these two! 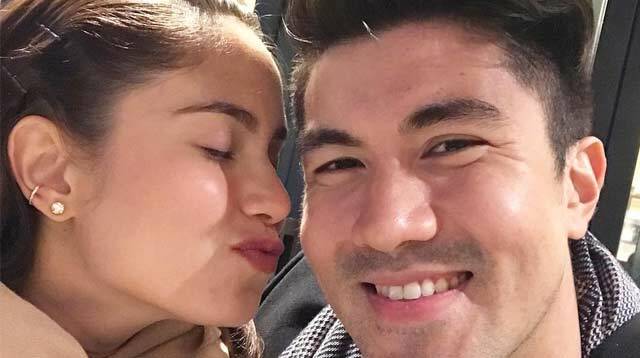 Jessy Mendiola and Luis Manzano recently revealed that they've already had some serious marriage talks. In an interview with PEP.ph, the Kapamilya actress disclosed that she and Luis discuss it constantly—"umaga hanggang gabi"—but that doesn't mean she's ready just yet. "Pero alam niya, e. Alam niyang I'm not ready yet. I have so much to do, I want to do so much. And he's willing to wait naman. I think that's good," said Jessy. "Oo, parang siya. Pero more than the pressure, it's more like, 'I'm ready.' Ganun siya. He would say sometimes na, 'I'm ready and I really feel that you are the one.' So, 'yun." "I'm also hoping that he's the one. Palagi naman tayong ganun, when we get into a relationship, lagi natin inaasa na 'yung taong mahal natin, siya na talaga. So far, so good."